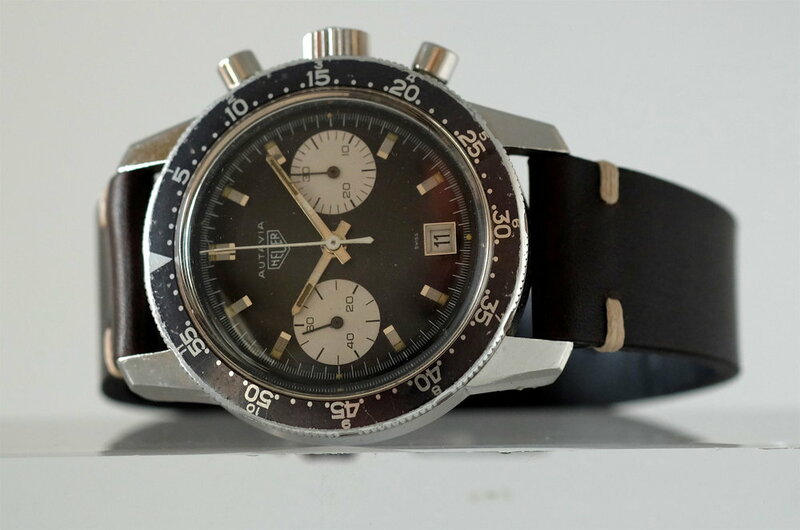 Heuer Autavia Compressor Dato Ref. 7863C — Vesper & Co. Dial: Bicolor black and silver with baton indexes, outer minutes/seconds divisions, subsidiary guilloche dials for the seconds and the 30 minutes register. Luminous steel baton hands. Movement: Cal. 7732, rhodium-plated, 17 jewels, straight- line lever escapement, monometallic balance, shock absorber, self-compensating flat balance spring. 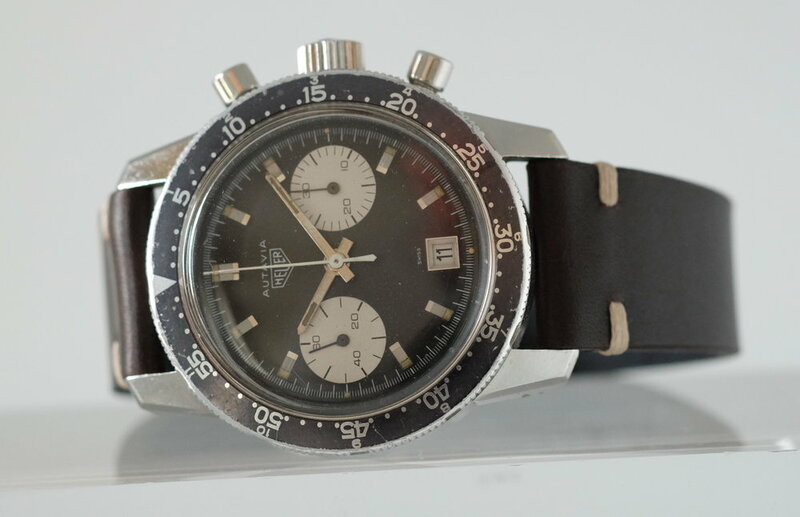 In 1968, Heuer redesigned the case used for the Autavia from a screw-back to a snap back compressor case. 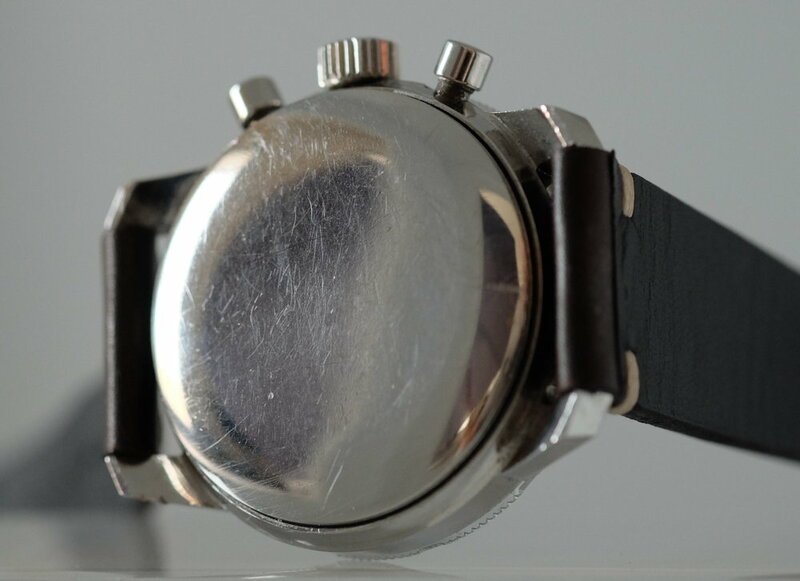 A compressor case was a patented case designed by Ervin Piquerez who sold these cases to a few watch manufactures, the compressor case has a unique seal construction which ensures water resistance through pressure on the gaskets and the crown. The principle is rather simple, deeper the watch was immersed, the more pressure on the case, the tighter the case and more water resistant the watch. 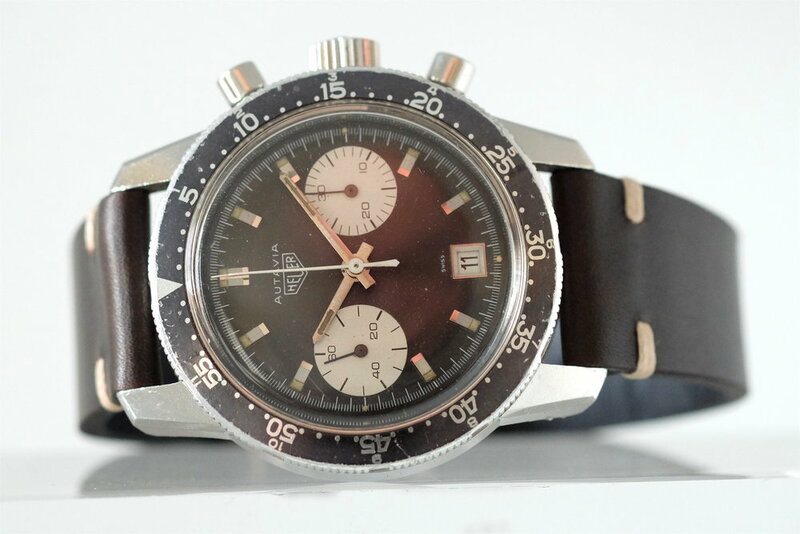 This Autavia 30 Dato, which might be one of the rarest configuration of the compressor Autavia is in excellent condition with sharp faceted case, the bezel has started to slightly turn grey.